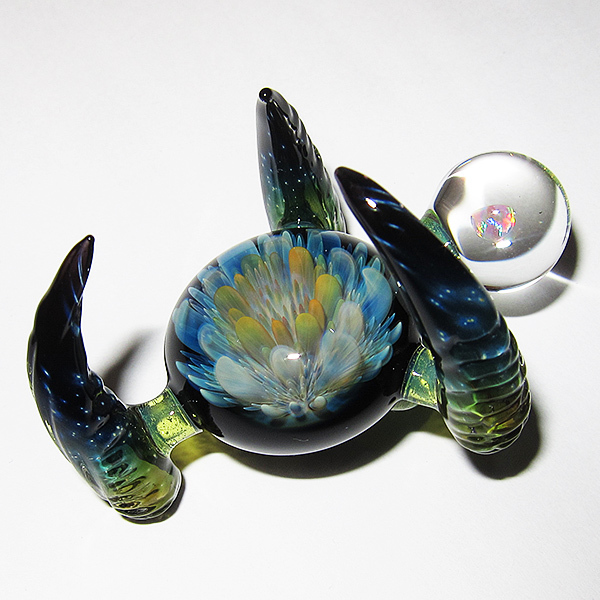 SKU: MSLMp04. Categories: Collaborations, Lucas Mahoney, Masashi Soutome / Tome. 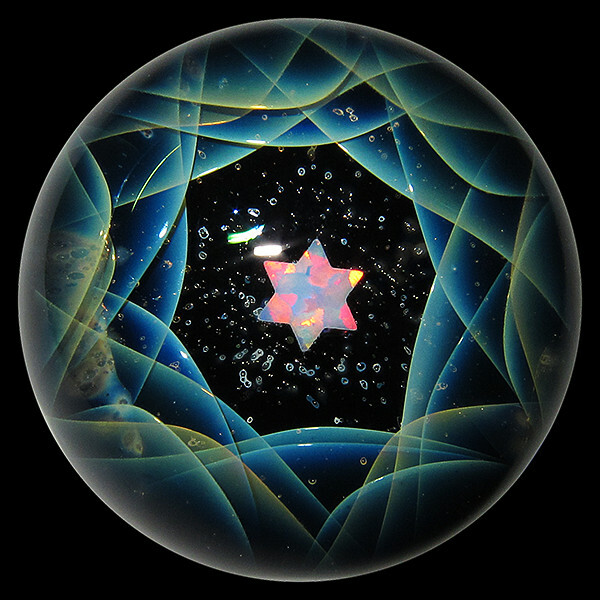 Tags: Collaborations, Lucas Mahoney, Masashi Soutome, Pendants, Tome. 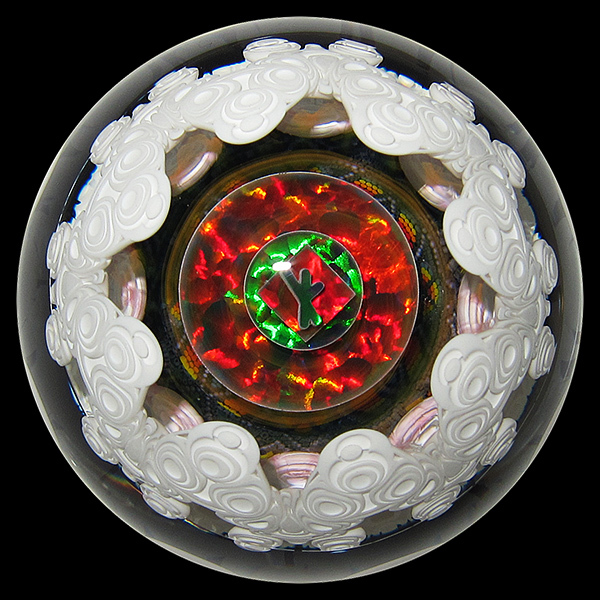 Shopmates Masashi Soutome and Lucas Mahoney teamed up to create this fumed pendant featuring techniques from both artists – Lucas made the fumicello and Tome made the cosmos section. The bale also features some texturing. 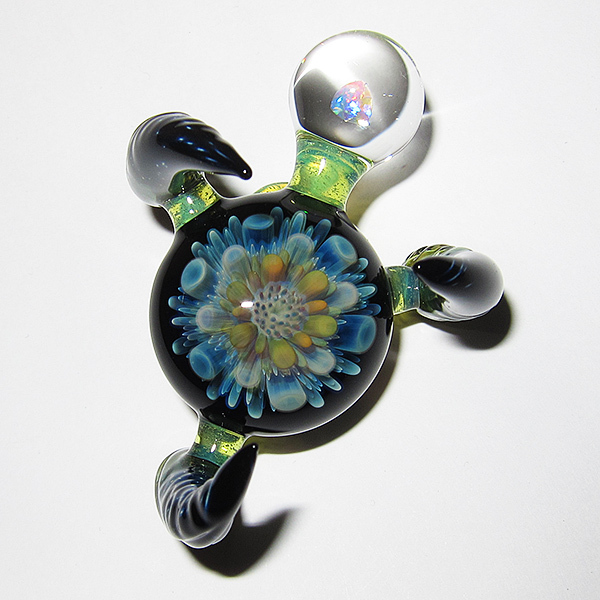 A perfectly executed pendant at a great price.